New game to be revealed on Thursday. 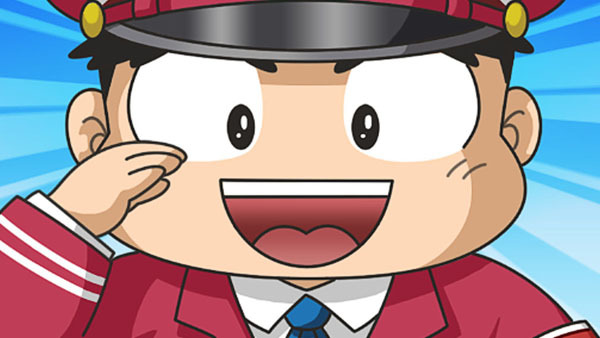 Konami is bringing its Hudson Soft-created long-running board game-style series Momotaro Dentetsu to PlayStation 4, PlayStation 3, PS Vita, Wii U, and 3DS, it’s been revealed. The game—which we currently have no information regarding as to whether it’s a new game or if it’s a port—will be featured on the next Denjin Gacha Niconico live stream on May 5 at 21:00 Japan time. The most recent entry in the series, Momotaro Dentetsu World, launched for DS in Japan in 2012. Visit the Momotaro Dentetsu series’ official website here. Update 6:45 p.m.: According to a tweet from the Denjin Gacha official Twitter, the game being featured on the May 5 program is Momotaro Dentetsu 16: Hokkaido Daiidou no Maki, which launched for PS2, Xbox 360, and Wii back in 2006. So they’ve either mistakenly listed the “Momotaro Dentetsu” game for PlayStation 4, PlayStation 3, PS Vita, Wii U, and 3DS in their Niconico description, or the game is being ported. Update 1:20 a.m.: As pointed out via e-mail by one of our readers, the previous Denjin Gacha broadcast featured LEGO Marvel Avengers, which was released for PlayStation 4, PlayStation 3, PS Vita, Wii U, and 3DS in Japan. That said, given the more specific tweet about Momotaro Dentetsu 16—a PS2, Xbox 360, and Wii game—being featured on the program, Denjin Gacha most likely copy-pasted the previous broadcast’s description when writing the description for the latest broadcast, and forgot to change the platforms for its featured game.